Banquet Line AC12 is an insulated box with active cooling for food distribution and holding of cold food with GN 2/1 capacity. Compressor cooling as standard vouches for fast and uniform cooling. The cabinet is chilled down to +3°C. This is performed via a digital display. A LED light indicates when the selected temperature has been reached. The door is opened at an 270° angle and is fixed in an open position by a magnet. Ergonomic push/pull handles on the back of the box ensure easy and safe operation. 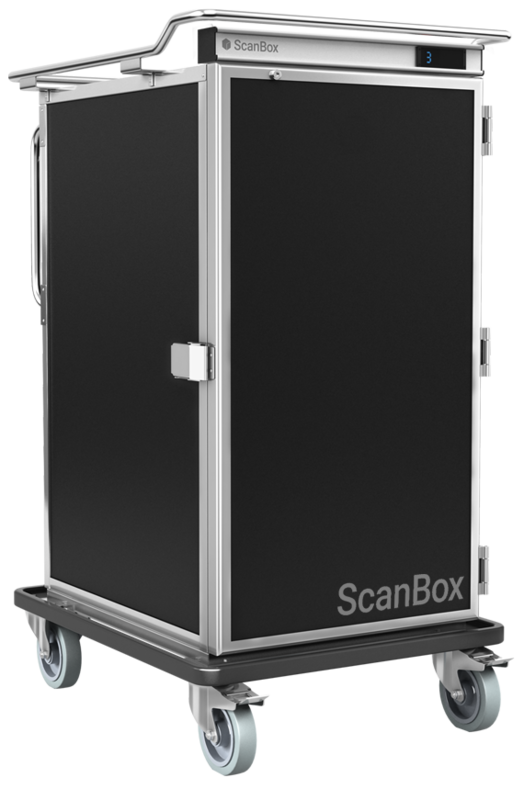 Banquet Line AC12 is manufactured with ScanBox unique Temp-Stop technology. This maximizes the insulation capacity while minimizing the energy consumption. Detachable racks allow for easy cleaning. Racks with integrated air gaps generate free air circulation inside the box for an even temperature distribution.